Sign up to download our free wedding checklist! Make sure your big day goes without a hitch. We dislike spam just as much as you, and that is why we don't send it. If you change your mind, you can unsubscribe at any time. Turner & Pennell is a GDPR compliant company. These dresses are available for you to purchase immediately and take home on the day. So, if you are planning a wedding quickly or are price conscious these dresses will be perfect for you. 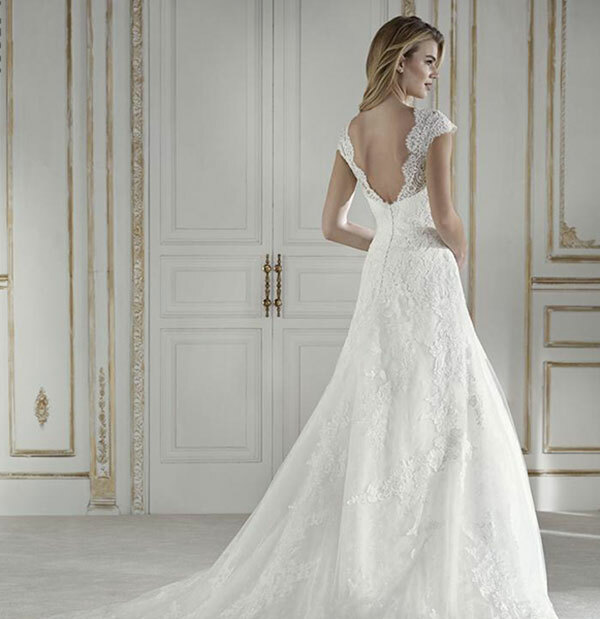 You will still receive our outstanding service and will be able to bring the dress back for alterations that it may require closer to your wedding date. We say... an extremely elegant, form fitting mermaid gown. We say... this shape is extremely flattering! We say... this stunning fitted mermaid gown has everything. We say... Hollywood glamour at its finest! We say...we love a bow! We say... a lovely long train and keyhole back! We say... oh so pretty! We say... beautiful beaded lace straps & corset back! We say...this dress is a picture of classic elegance. We say... an amazing button up, fully beaded back! We say...perfect for a boho wedding. "Amazing shop, run by the loveliest ladies who are extremely helpful and patient! I am so happy I bought my dress from this shop, and will continue to recommend to every bride-to-be!"